Malaysia has been stripped of the right to host the World Para Swimming Championships after it refused to allow Israeli athletes to enter the country. "Politics and sport are never a good mix," said the International Paralympic Committee President Andrew Parsons in a statement after the organization decided Sunday not to allow Malaysia to host the competition anymore. "We are disappointed that Israeli athletes would not have been allowed to compete in Malaysia." Malaysia's foreign minister said earlier this month the country will not invite Israelis to participate in any future international events as an act of solidarity for the Palestinian cause. 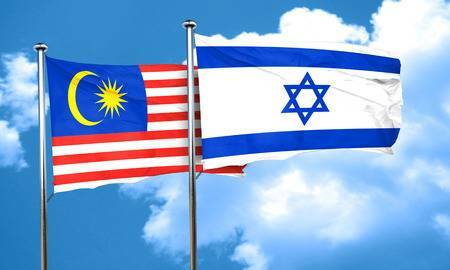 "Malaysia will not host any more events involving Israel or its representatives. This is to me, a decision to reflect the government's firm stance over the Israeli issue," Foreign Minister Saifuddin Abdulla Saifuddin said after meeting a coalition of Muslim groups. The paralympic swimming championship was supposed to be held in the city of Kuching and will be the determining factor for who will participate in the 2020 Paralympics in Tokyo. More than 600 swimmers from 70 nations will compete. Malaysia's sports minister is unapologetic of the decision to ban Israel "on the ground of humanity and compassion for the Palestinian plight." The International Paralympic Committee said Sunday that when Malaysia agreed to be a host country in 2017, the government assured them they would let all countries participate. Malaysia, a predominately Muslim country, is a vocal defender of the Palestinian cause. Prime Minister Mahathir Bin Mohammad has been highly critical of Israel, saying "Jerusalem has always been Palestinian territory and it must remain in its current status." Mohammad also called Jews "hook-nosed" last October and blamed the Jewish state for being the source of chaos in the Middle East.